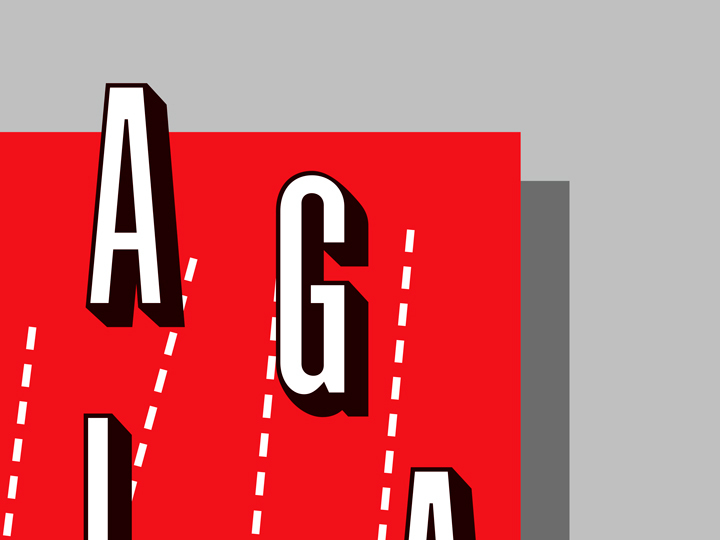 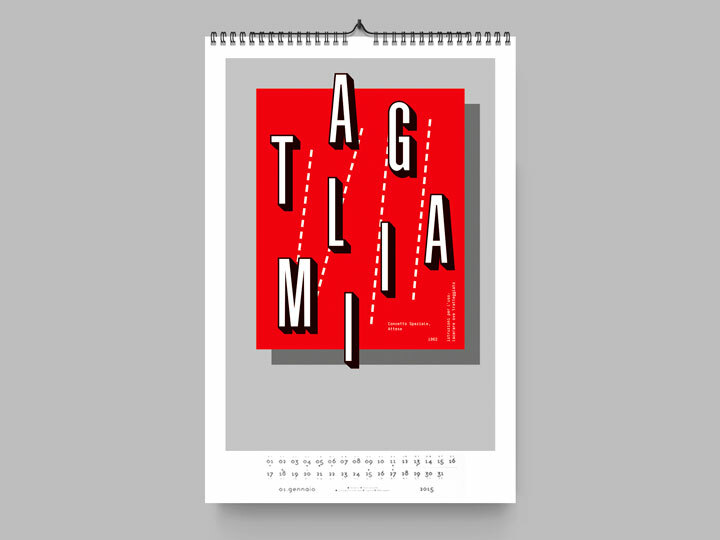 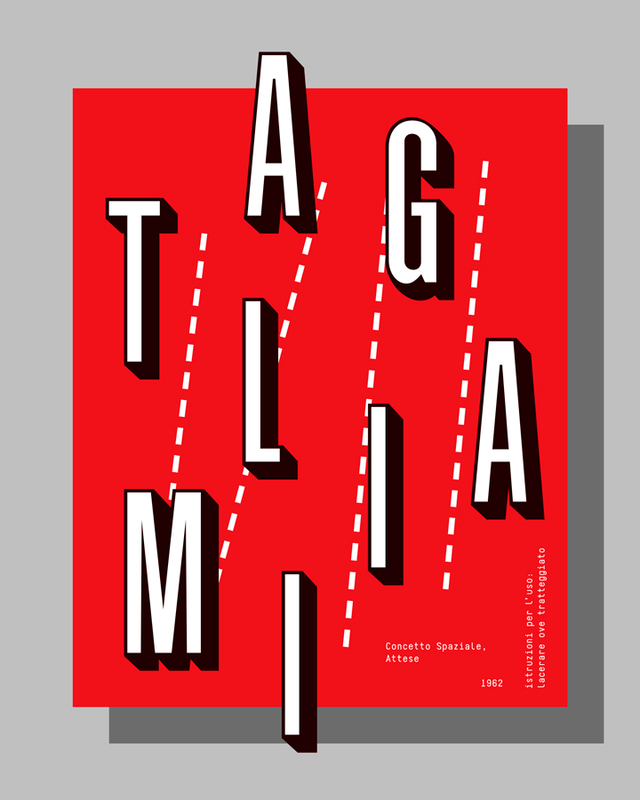 CSG.lab in collaboration with La Tipografica presented — for the year 2015 — an elegant calendar named ‘Ràccontàti da 30’anni‘. 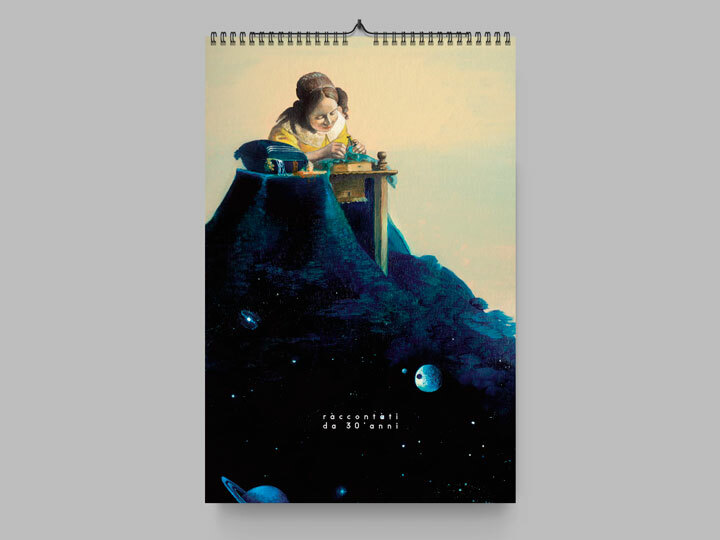 The calendar features thirteen emerging illustrators and graphic designers who offer here — one for each month, plus cover — their own interpretation and reveisiting of famous paintings or art-works, giving them a new look by using traditional or digital techniques. 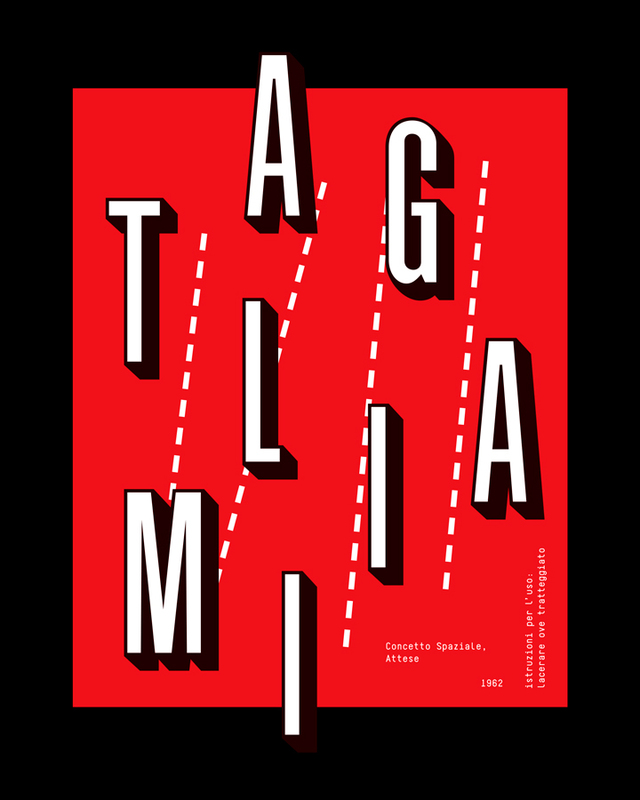 Other established illustrators and graphic designers alongside them, dedicating twelve original works as a good omen for the future, in order to evoke hope and creativity of today visions, that go to shape the incoming future. 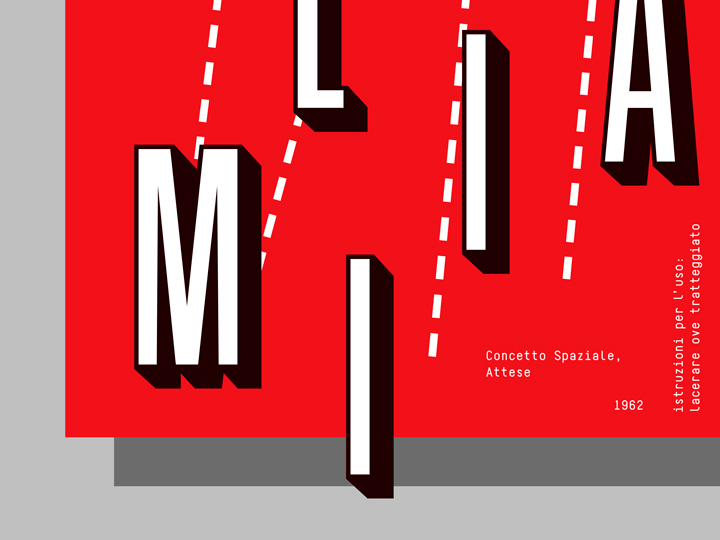 My contribution for the calendar consists of a graphic reinterpretation of Lucio Fontana‘s work ‘Concetto Spaziale: Attese’ (1962), reproduced vectorially by just using simple dotted lines on a red background. 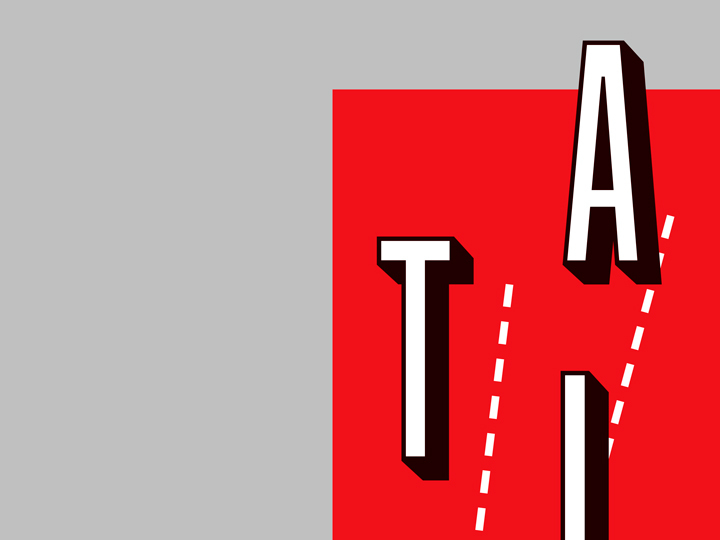 The design presents an intentionally invasive lettering and a ‘mood’ largely inspired by advertising. 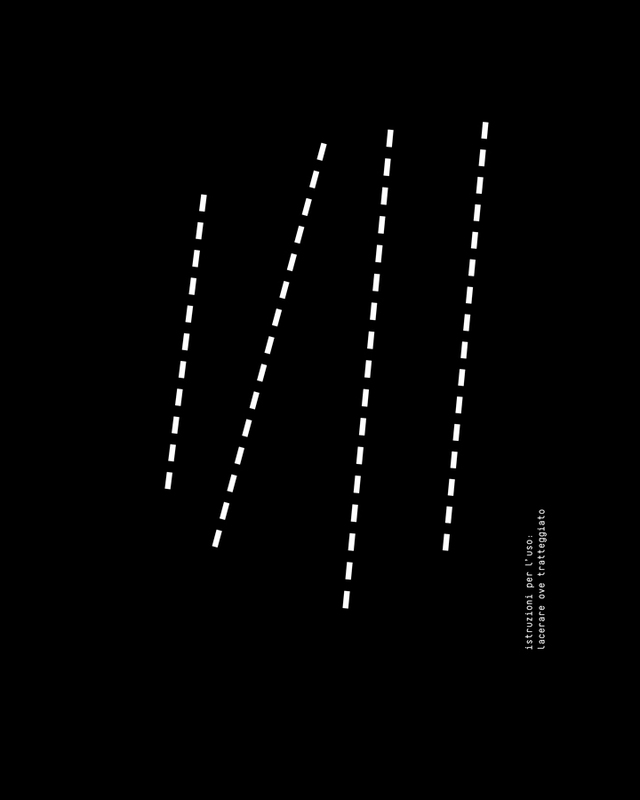 It encourages the viewer to ‘take action’ and pesonally cut the sheet following the simple lines. 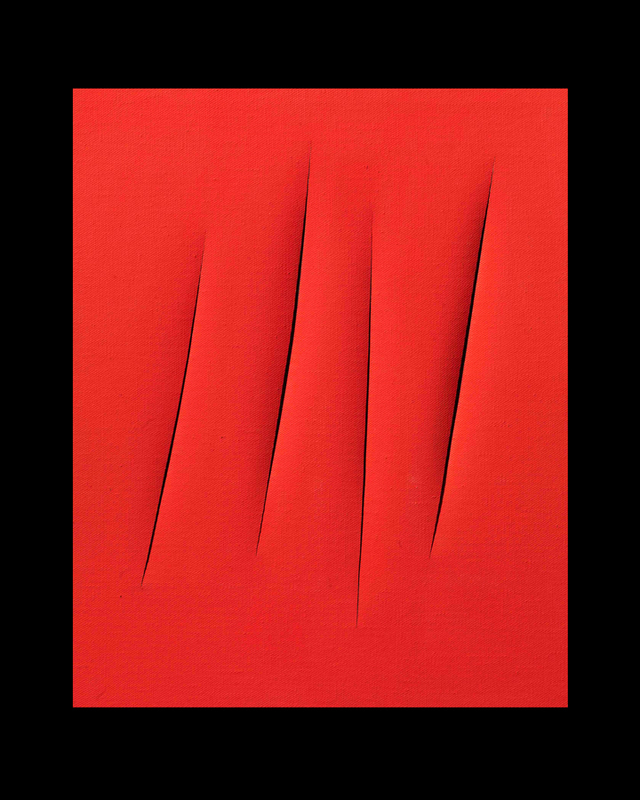 It was my intention here to propose Fontana as a ‘do it yourself’ work, reproducible and repeatable by anyone. 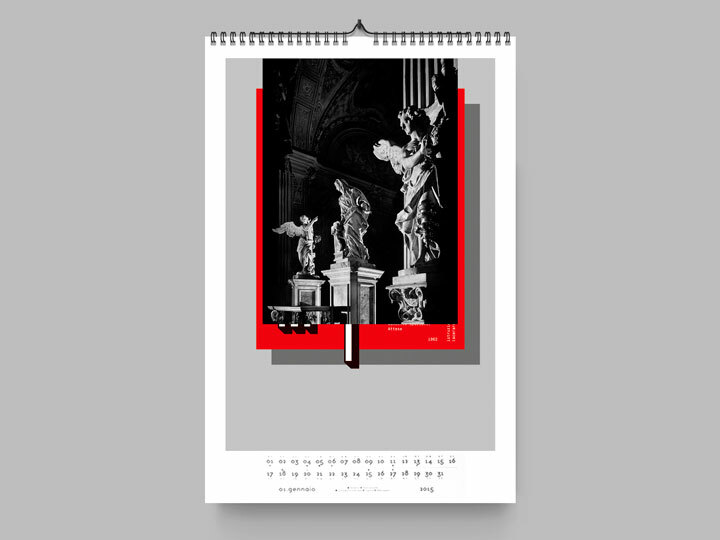 This is the list of all the artists and designers featured in the calendar (in alphabetical order): Simone Arena, Adriana Aviña, Fabio Babich, Aleš Brce, Oriana Cocetta, Gloria Corradi, Roberta De Biaggio, Erica De Gasperin, Zaira De Toni, Piero Di Biase, Giovanni Di Natale, Roberto Duse, Marta Ecoretti, Chiara Giorgiutti, Michela Giorgiutti, Silvia Iesse, Luca Laureati, Carin Marzaro, Tiziana Michelizza, Sonja Monaca, Alberto Moreu, Francesca Pacitto, Massimo Racozzi, Nancy Rossit, Sergio Sattolo, Sarolta Szulyovszky.